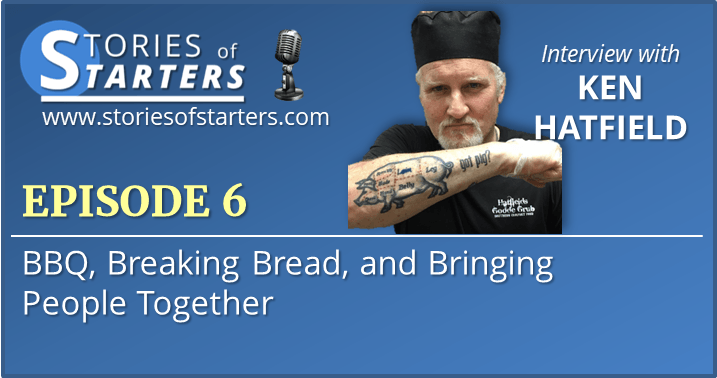 In this episode, Chef Ken Hatfield and I sit down at his restaurant, Hatfield’s Goode Grub, and discuss his love for BBQ, how breaking bread can bring people together, the value of hard work, and how pursuing your dream can make a difference in the lives of others. 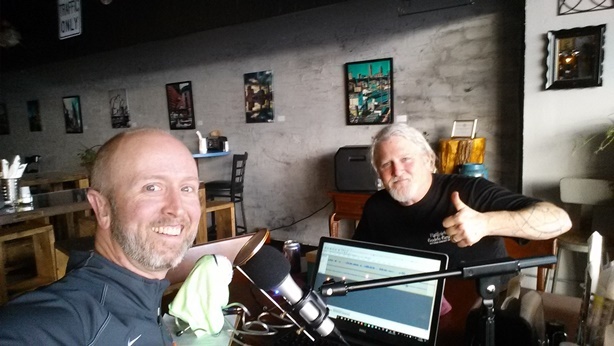 Ken’s journey has taken him a lot of places and there are a lot of surprises in the interview that you won’t want to miss; as well as some great tips and encouragement from Ken for those of us wanting to follow our passion. What four ingredients would Ken take with him if trapped on a deserted island? What would Ken choose if he could only eat one thing for the rest of his life? Who have been some special people he has cooked for? Has he ever been nervous about who he was cooking for? Is there something that he’s known for? Was he always interested in cooking? Why did he set-up his restaurant like he did and what’s special about it? How has faith played a part in Ken’s story and how does it drive what he does? Growing up, did he ever think he’d make a living as a chef? How has hard work played into Ken’s journey? 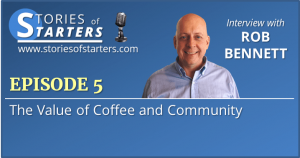 What’s it like to run a business versus just cooking the food? What has he been able to do to help others who are where he was before? What have been some of the biggest obstacles to Ken’s success? What was it like planning and preparing 1700 meals a day on a missionary ship? How did he make sure each country represented got a taste of home? What special things have happened as a result of him stepping out with his food truck and restaurant? What are some of the keys to success?